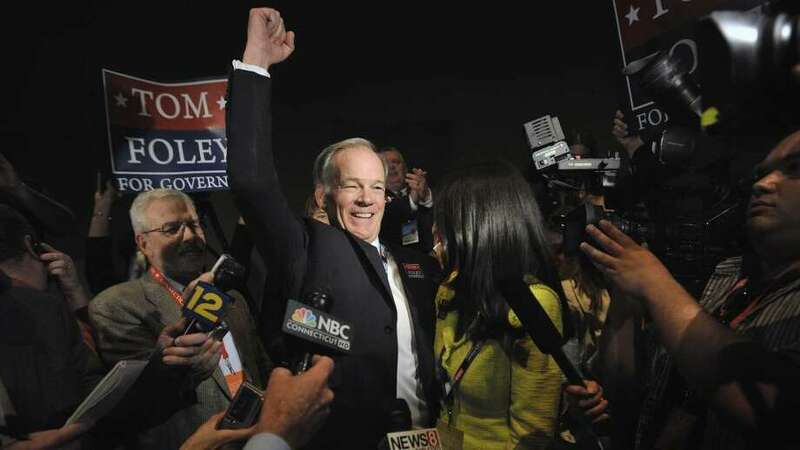 Tom Foley, Republican nominee for governor. Tom Foley, nominated for governor Saturday at the Republican State Convention in Hartford, hugs his wife. Tom Foley with his wife, Leslie, accepts the Republican nomination for governor at the Republican State Convention Saturday.